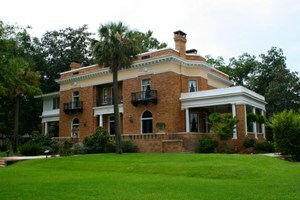 The Ashley-Slater House (c. 1914) is an historic Italianate mansion and local architectural treasure. The former home is designated as the business offices for the City of Douglas Community Development Department. The Ashley-Slater house features an original mural, a host of antique furnishings, and a tragic history. Visitors also enjoy the attractive gardens and grounds. For more information, contact the Douglas-Coffee County Visitor Information Center (912)384-1873.